What words can describe the one and only “HOUZ’MON” Pioneer Party Rocker Ghetto Houz Icon? A Dj International label Houz’Mon could easily be described as a pioneer. 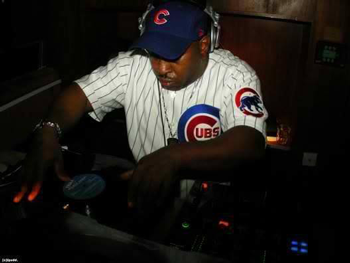 Growing up on the West Side of Chicago, he was exposed at an early age to Chicago, New York and Detroit dance music. with a little bit of help from his musical cohorts Jammin Gerald and DJ Funk. Taking hold of the The Factory Nite Club on the west side of Chicago, Houz’Mon dropped his self-titled EP on Beat Boy Records in the early ’90s. The sound was spreading like wildfire – with subsequent ghetto house labels like Dance Mania now being a top pick for DJs across the board. including Acid Warp, Fear The World, Pack It Up, Com Mo Ya, and 101.